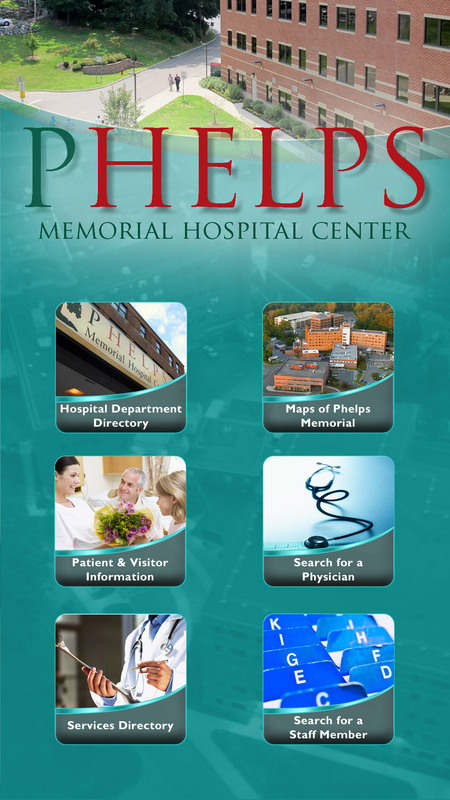 Phelps Hospital, located in Sleepy Hollow, New York, is a dedicated center striving to improve the health care for their community. The hospital is continuing to grow with its care and technology and has wide areas of services including, preventative, diagnostic and treatment services. Continually searching for new ways to enhance the hospital experience for patients and visitors, the hospital recently teamed with Livewire Digital in York, PA to come up with a great new way to get information to visitors. 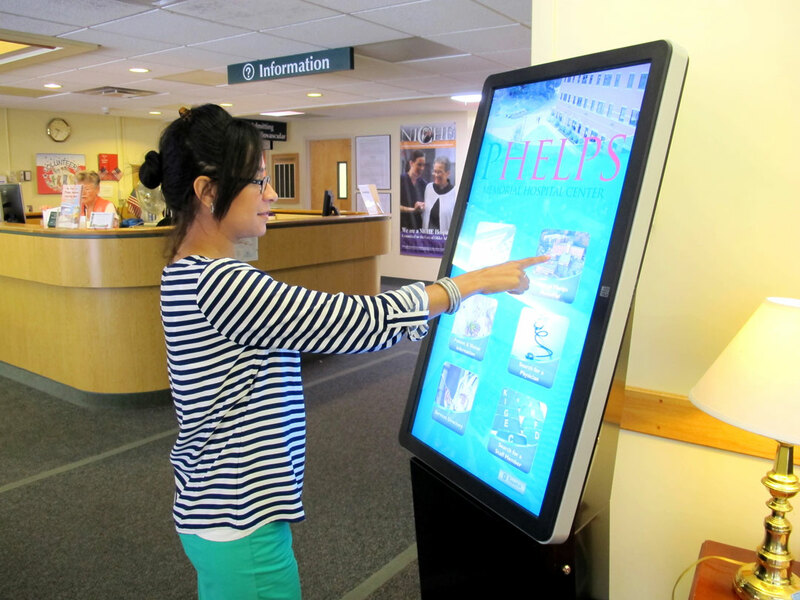 Phelps installed informational kiosks at the entrances to each of the campus’s buildings to help visitors understand the layout of the campus so they can find their way from one building to another. The kiosks, based on Livewire’s eConcierge self-service platform, provides interactive maps, a calendar of events, directories of medical and administrative staff and general information about the hospital’s various services and amenities. The kiosks’ 42” screens make user interaction very easy to navigate and read, and provide both English and Spanish options to accommodate the diverse local culture. To further keep visitors and patients informed of up-to-date information, Phelps installed digital signs throughout the facilities. The signs display upcoming events, recent news, and other activities within the complex. Livewire’s eConcierge Server allows hospital staff to remotely manage content and monitor the health of the digital signs and interactive kiosks.